When Phase I becomes operational by the end of 2019, Doha Metro in Qatar's capital will be one of the most advanced rail transit systems in the world. In an effort to host the 2016 Olympic Summer Games in Doha, the Emirate originally planned the metro in 2007. Although the International Olympic Committee chose Rio de Janeiro, Brazil, in preparation for the 2022 FIFA World Cup, for which it won the 2010 bid, Doha still proceeded with the project. As road travel is an extensive mode of transport, Qatar has a well-developed road network with a road and expressway system. Mowasalat, a state-owned integrated ground transport company, provides mainly public transport. The aim of the Qatar Transport Master Plan is to develop attractive, efficient and reliable public transport in Qatar. 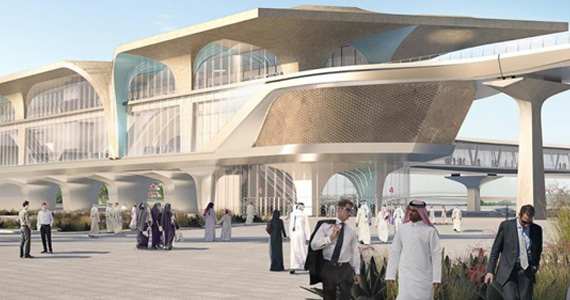 The requirements led to the proposal for a comprehensive rail network for future development in the Greater Doha area and in the entire state. The rail transit system is part of the diversification and modernization strategy of the Qatar government involving public and private investments of € 130 billion. The campaign also seeks to reduce its reliance on exports of natural gas.